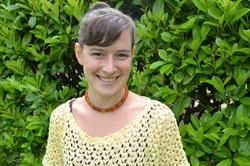 Rachel specializes in working with people who are ready to explore a self-awareness and self-acceptance practice through yoga techniques and the lens of current psychological research. She is a compassionate yoga therapist, a grounded yoga teacher and a strong AcroYogi. She enjoys relating to her students through conversation about their practice starting to weave into their life. Yoga has personally helped her back pain both physically and emotionally as she has learned to accept sensations in each moment. This allows her to enjoy a very active lifestyle that includes everything from soccer, to hiking, to acrobatic feats! She is a 500 hour RYT, registered yoga teacher and a certified Yoga Therapist as an Integrated Movement Therapy practitioner (IMT) and a partner yoga/acrobatics teacher. Rachel is in Portland teaching and seeing private yoga therapy clients at unfold studios. She is a co-creator and program manager of unfold. As a part of the IMT faculty, she trains and mentors this yoga based therapy.